Knowing what is supposed to happen and when it should happen is the key to ensure a well organized, outstanding wedding reception. While enjoying the celebration, it’s amazing how fast it goes, and it is so easy to forget something you had planned on doing. At my own wedding we completely forgot about the wedding cake! It’s your party and you to make sure it runs smoothly. After the ceremony, while you leave with the photographer for pictures, your guests will head up to the reception site for cocktails. Mingling amongst themselves with a drink in their hands, munching on tasty appetizers, the reception is getting started. The pictures are taken, this is the moment where your make your great entrance. Traditionally, newlyweds, parents, and bridal party form a receiving line and welcome the guests into the reception hall. A receiving line is still by far the best way to make sure you greet everyone without exception. Many newlyweds prefer going from table to table to do the greetings. In this instance, upon your arrival, a coordinator will invite everyone to be seated before announcing the entrance of the parents, bridal party, and the celebrated husband and wife. As the guests applaud your entrance, this may be a great time to have the first dance. Before the meal is served, you may want to thank everyone at once for attending. The parents usually welcome the guests and invite them to take part of the celebratory meal. Between courses, the best man, maid of honour, and guests will give their toasts. The amount of time dedicated for the meal will depend on how many courses will be served. 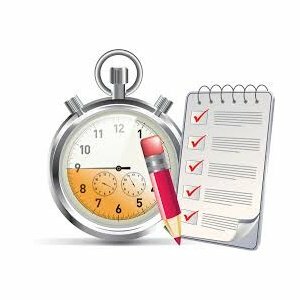 Plan ahead of time with the caterer how much time will be allocated between each course. During the meal, your DJ will play conversation friendly music according to your instruction. Once dinner is over, the bride and her father joined by the groom and mother are invited on the dance to floor to set the pace of the party. According to the mood of the group, your DJ will play a variety of crowd pleasing songs to keep the party going. Don’t hesitate to let the DJ know beforehand if there are songs you do not want to hear. For example, if you can’t stand the chicken dance song make sure your DJ knows about it. If you have a candy buffet, this would be the best time to make it available to the guests. During this time, dancing may be interrupted for the traditional bouquet toss, garter toss, centerpiece giveaway game, money dance with the bride or groom, or any other activities you had scheduled to include. For many guests the cake cutting ceremony signifies the reception is coming to an end and that it’s okay to leave after it. So an hour before you are ready to end the reception, have the tables set for coffee and dessert and get ready for memorable photos. Right after the cutting of the cake, the DJ restarts playing music for the continuous dancing pleasure of the guests. Fifteen minutes prior the end of the reception, he will invite everyone to join you on the dance floor for a last dance playing a memorable song of your choice. The reception is almost over and it’s time to say goodbye. Newlyweds often choose that moment to thank and personally give a wedding favour to each guest departing, staying behind until all guests have gone home. The MC can also arranged to have all guests make a circle on the dance floor for the newlyweds to go around and say goodbye to everyone. Another way is have the guests forming an archway, where guests lined up in two lines to form a tunnel for you to either run through or stop at each guest for accolades. While you make your exit, guests cheering with sparklers, will be throwing bio-degradable confetti hearts at you. Everyone loves a spectacular wedding exit!